The rear SAM control unit with fuse and relay module (N10/2) is located on the control unit platform in the left-hand side of the trunk. 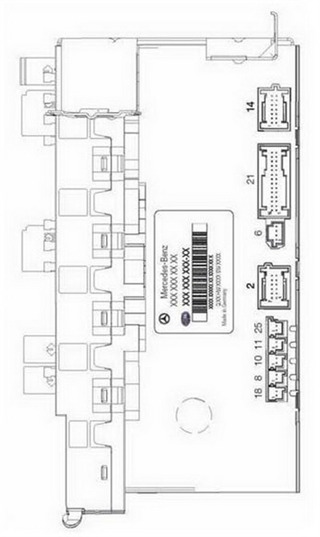 The rear SAM control unit with fuse and relay module (N10/2) is a device on the CAN-B in the overall network. In this section we will add some useful information about some Mercedes Benz 203 Rear SAM System and it features.